Just a few days before this family portrait session, this little boy tripped and fell and cut his chin. Mom gave me a call so that we could determine if we should proceed with the session or reschedule. I was very grateful for the phone call and the chance to work with mom in advance to determine if we can photgraph around the injury or reschedule. As much as Photoshop can fix some bumps and bruises, sometimes it is worth rescheduling the portrait session. But thankfully in this particular situation that was not the case. This poor little guy's injury was primarily on the underside of his chin and we were able to pose and photograph around it and fix any visible signs with minimal Photoshop work. 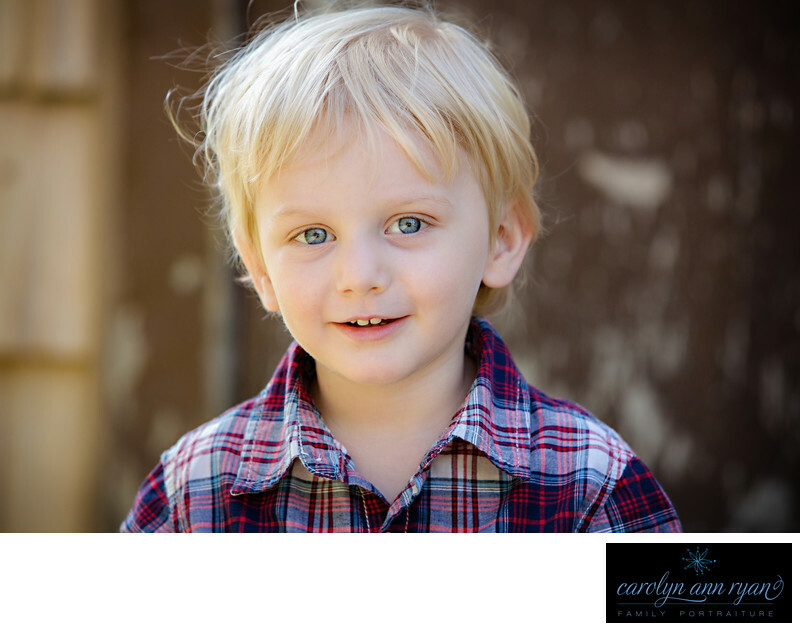 And additionally the injury didn't impact his mood, and he was quite the cheerful little guy with those big blue eyes and awesome little boy smile.Keywords: Autumn (117), blue (138), boys (120), Fall (129), plaid (105), red (51), toddler (39), toddlers (45). 1/320; f/4.5; ISO 500; 200.0 mm.